Thank you for your interest in the Imperial College MPH programme. The 2018-19 MPH course starts in October 2018. Applications for entry will open in November 2017. We cannot tell you at this stage whether you will be eligible for the MPH because the decision is made by the Admissions Team when they have an opportunity to view your degree results and IELTS score (if relevant). We generally require a First Class or Upper Second Class degree from a good university or an international equivalent, or a medical degree. A good personal statement about why you want to undertake the MPH course is essential. Previous public health experience is also helpful. You should take the opportunity to find out more about public health, for example, from the FPH Website. We have several international student societies at Imperial to provide students with some peer support away from their home country. Do check out the visa rules before you apply if you intend to stay in the UK after the MPH as these opportunities are now more limited than in the past. The Imperial College MPH is mainly a quantitative, research-oriented programme. Our MPH students receive rigorous training in epidemiology and statistics. Hence, the programme will suit applicants who are mainly interested in developing their quantitative analytical and research skills. The course offers good grounding in research methods for those considering a PhD in public health or role in health services research related field. The MPH also presents a good opportunity for public health management training as it is provided in collaboration with the Imperial College Business School. If you decide to apply, then it would be an advantage if you can describe any relevant research experience and/or training in epidemiology, maths, and statistics. We also need to see your CV in addition to the personal statement. The Imperial MPH is now the largest Masters course at Imperial College and one of the largest MPH courses in the UK, offering an intensive immersion into public health policy and practice. Students that complete the Masters programme continue into positions in international development organisations, government bodies, research and consulting. We offer two streams for the MPH Programme: MPH (Health Systems Stream) which covers the core skills of public health with a focus on high-income countries; and MPH (Global Health), which covers the essential core public health skills as well as orienting students towards a global health career. In 2017-18, we are also offering optional modules in Health Systems Development, Health Systems Policy and Financing, Contemporary Topics in International Health Policy, Anthropology in Public Health, Research Methods (covering Qualitative Research), Exposure Assessment and eHealth. The full-time programme is very intensive. Students must attend classes Monday to Friday and they are required to study full-time for 12 months. Students submit a 10,000 word research dissertation in late August and then undergo an oral examination on their project. Much of the teaching in the first term is shared with the MSc in Epidemiology Course, which is also run by the School of Public Health. The third term and summer months are largely dedicated to work on the research project. You can find further information on the Imperial College MPH Website. Please see the College’s webpage for information on International Students, if applicable. The fee for the MPH in 2018-19 for UK students and students from the European Union is around £10,000. The fee for students residing elsewhere in the world is around £30,600. You can email tuition.fees@imperial.ac.uk for further information on postgraduate fees. Because of the length of time it takes to process visa applications, it can be difficult for overseas students to obtain the necessary documents to start in October if they do not receive their offer by 31 July 2018. Best wishes for your future and thank you for your interest in Imperial College and in our MPH Programme. 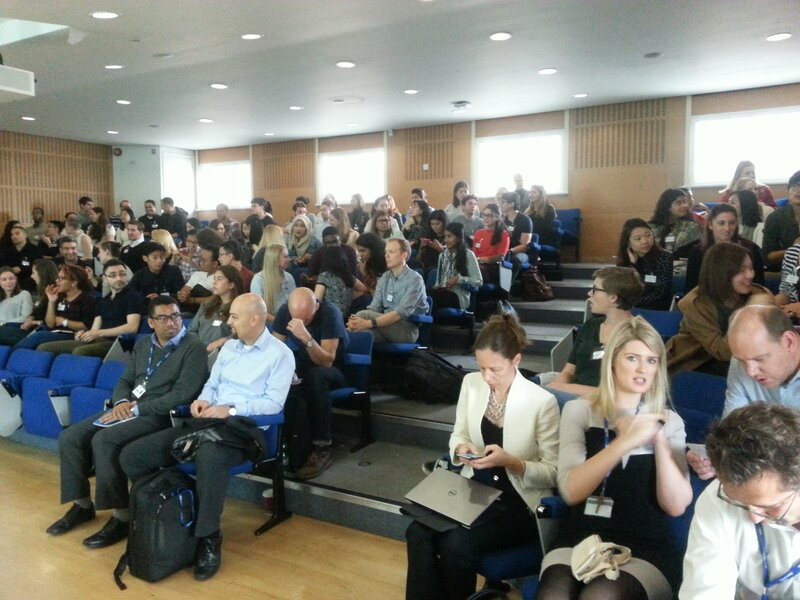 We had a full house earlier this week for the introductory session for our new Master of Public Health (MPH) students. This year, we have 68 students on our MPH programme. The course provides a comprehensive introduction into key public health topics; such as epidemiology, biostatistics, health promotion, health protection, health behaviour, health policy, and health economics. There is a focus on the development of quantitative analytical skills for public health, epidemiology and health services research. We aim to provide a creative and supportive learning environment, and we hope all our students have a rewarding year. This popular study tour for Imperial MPH students is organised annually in collaboration with WHO Geneva. As part of the tour participants were introduced to the work of Médecins Sans Frontières, The UN High Commission for Refugees, the Red Cross, The UN, and WHO and its regional offices. MPH students have had the opportunity to meet with large numbers of senior colleagues in these key international organisations and learn about the nature of their work. The 3 day study tour was very busy, full of learning experience and fun. The Annual Teachers’ Conference took place on Friday 9 June 2017 Celebrating the Student and Teacher Partnership. About 100 delegates joined together to network, offer peer support and learn through conversation, lectures and a series of workshops. A brief overview of the key themes and reflections from the day follows. Dr Sonia Kumar, Director of Undergraduate Primary Care Education, opened by sharing a story of coming across an old man with a bike puncture while out with her husband. While her husband repaired the puncture they got to know a little of his life; how his wife had died and he now lived in sheltered accommodation with cycling being an important way for him to get out and about. Later that day Sonia was reflecting on how hearing his story had made her feel sad and sorry for his changed circumstances, whereas Dev, Sonia’s husband, had taken away a different impression – a wonderful life where he continued to be cared for, maintaining his independence and a lifelong hobby in the form of his bike. And so with teaching, sometimes the student – teacher agenda and perspective to a situation can be different and recognising this is key to a successful teaching partnership. Professor Val Wass spoke to the subject “Doctors Without Borders”, drawing on her life experience as a GP, medical school dean, RCGP International lead and recent publication on By choice – not by chance: supporting medical students to careers in general practice for NHS Health Education England. She highlighted four important barriers (Generation Gap, Societal Borders, Specialty Borders and Self-Knowledge) we need to recognise in how we deliver education to support students to flourish in their future. The student prizes showcased a huge amount of creativity with videos, paintings, interviews allowing us all to reflect on how healthcare delivery and our own attitudes shape the patient experience. One sensed a huge injection of energy and inspiration into the room, affirming to the audience members their inner calling of ‘this is why I want to teach’, and lots of reflections for teachers of their own practice – a true teacher-student partnership. This creative animation by a pair of students who got to know a patient over a number of months as she navigated the NHS and her own identity is highly recommended. This course was developed and run jointly between the Zagreb Institute of Culture of Health and the WHO Collaborating Centre, at the Centre for Advanced Academic Studies in Dubrovnik. More than 40 health professionals from across Croatia took part in this intensive course over 5 days. The modular format of the course allowed participants to choose the sessions which are relevant to their needs. The course was organised and led by Professor Rawaf from Imperial College London, and Professor Marijana Bras and Professor Velijko Dordevic of University of Zagreb. We plan to run the course annually at the Centre for Advanced Academic Studies. 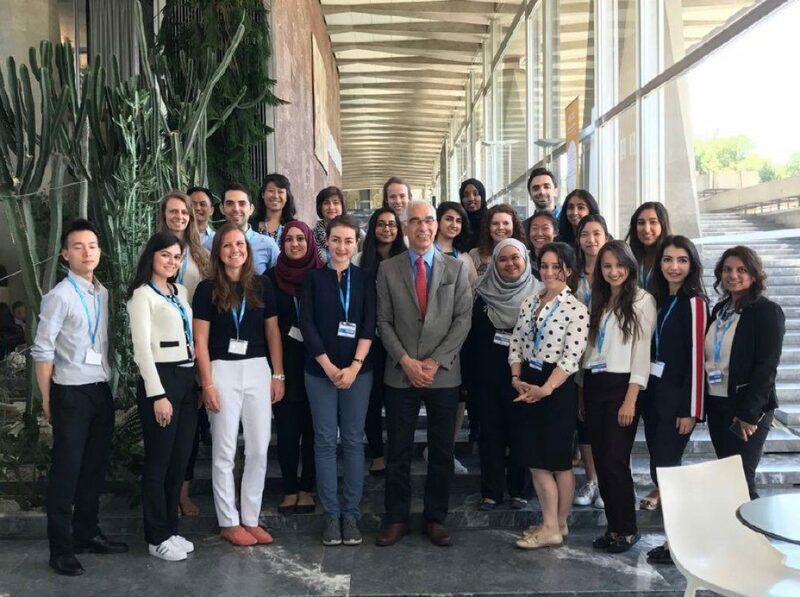 This summer, the WHO Collaborating Centre delivered the well-established Advanced Leadership and Health Management course in London for delegations from China and the Gulf Region. The participants came from various health professional background with responsibilities to lead in their health systems. Colleagues from China are mainly from hospital management, some from hospitals with over 4000 beds. The WHO Collaborating Centre Advanced Leadership and Management for healthcare course is a one-week intensive training addressed to health professionals. The content of the course is built around the WHO framework and aims to help participants become more successful leaders in complex knowledge-based health systems around the world. Dr Andy McKeown, Co-Course Director (Year5 MB BS Course Lead) and Dr Shivani Tanna (Year 3 GP Course Lead) have both received President’s Awards for Excellence in Teaching for 2017. These awards follow three similar awards received by our academic GPs in 2016 and showcase the fantastic teaching being delivered by the Department of Primary Care and Public Health. On Thursday 21 September 2017, our Master of Public Health (MPH) students presented their research projects. This was the last assessment for the 2016-17 course. We had a wide-range of presentations on very topical issues in global health and health policy. HPV Vaccination: Should the UK be adopting a gender-neutral policy? Local Air Quality Management in the United Kingdom: Does the designation of Air Quality Management Areas result in a significant reduction in ambient air pollution? Are mHealth apps a trustworthy source for children and adolescents for health promotion? A systematic review and field study. The interface between elements of telehealth intervention and the context: A narrative review countries. Safety issues in the introduction of mass treatment for HIV; pharmacovigilance for darunavir in adults and dolutegravir in pregnant Women. Will the NHS be paperless by 2020? A mixed methods evaluation.